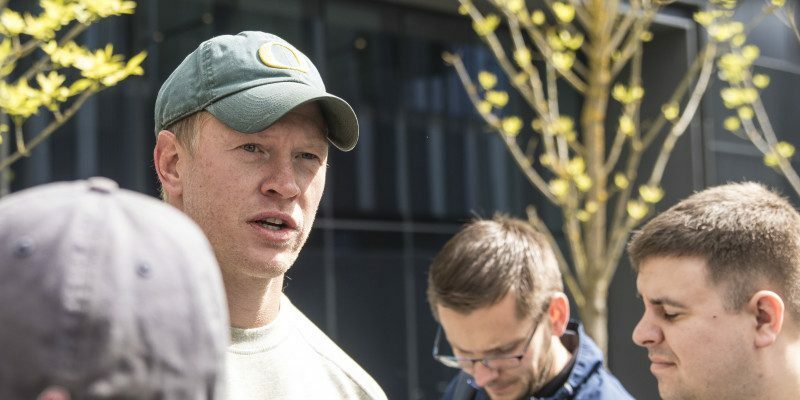 In an interview for FishDuck.com on Wednesday, I spoke with Oregon’s offensive coordinator Scott Frost at the Hatfield-Dowlin Complex in Eugene. Fourteen spring practices are officially over and after five hard-fought weeks, Coach Frost and the rest of Oregon’s coaching staff are ready to take the field this Saturday. One area that the Ducks’ offensive coordinator has paid close attention to this spring has been the quarterback position. Marcus Mariota‘s departure has been well-documented, and while some critics have been pessimistic about Oregon’s chances next season, Frost has maintained confidence in his group of quarterbacks. 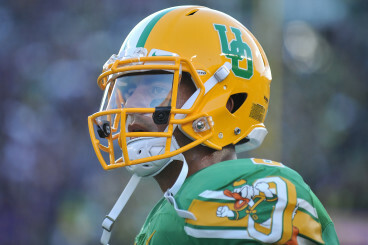 Marcus Mariota’s legacy will forever rest in college football lore. Frost also mentioned that the environment in practice has been very positive this spring. Aside from a few lackadaisical practices, the team has performed well, and Frost believes that his players are ready to battle it out in front of a packed Autzen Stadium on Saturday. Oregon’s spring game is always one of the most anticipated events in Eugene, but there’s more to celebrate this week than just the spring game. The NFL Draft will officially get underway on Thursday, which means that Mariota, Hroniss Grasu, Arik Armstead and several other former Ducks will have the opportunity to fulfill their lifelong dreams.